What happens when we can’t decide between two different art projects in Project: Around the World? Well… we end up doing two. We started with our Colorful Building Paper Collages and I thought that would be it. But, I just couldn’t get the idea of handprint art out of my system. More specifically, I kept thinking about the hand outlines at Cueva de las Manos in Argentina. (You can see them here.) This amazing cave art is between 9500 and 13,000 years old. Wow! I just knew we could make our own version at home. The first step in our process was to make our stencils. 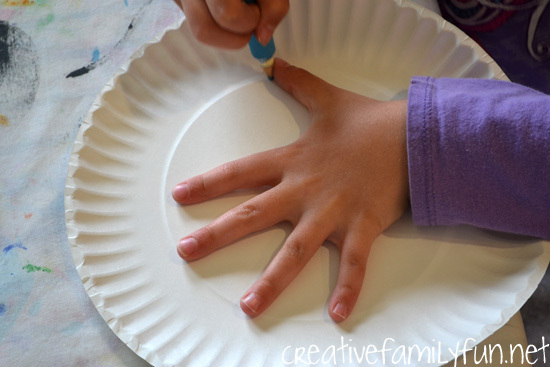 We used paper plates since they are thicker and sturdier than regular paper. 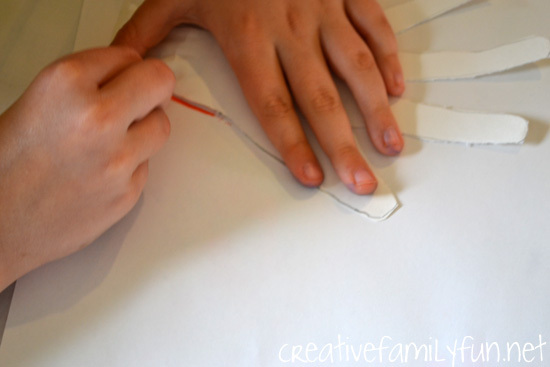 The girls each traced a hand on a plate and cut out the handprint. They decided to trace part of their arm too so that it looked more like the cave paintings. 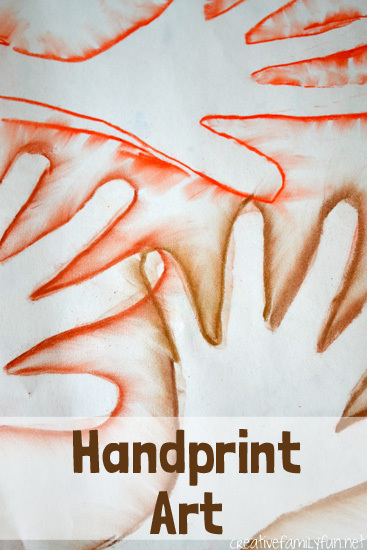 I had some legal size paper (8.5″ x 14″), so we traced our handprints on that. Letter size paper would work too. The girls used their stencils and traced around it with a chalk pastel. We used different shades of grays and browns to mimic the cave art. After tracing the stencil, we left it in place and used our fingers to gently swipe outward from the stencil. 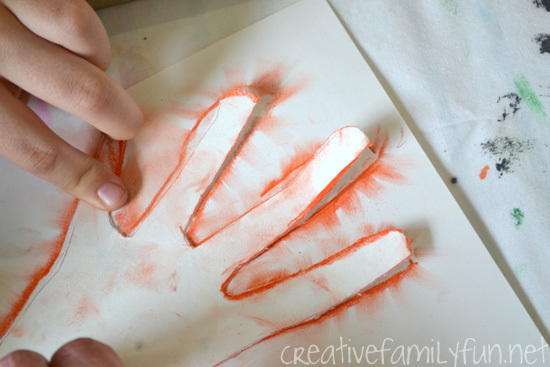 You will get a fun feathery effect which looks a lot like the handprints at Cueva de las Manos. 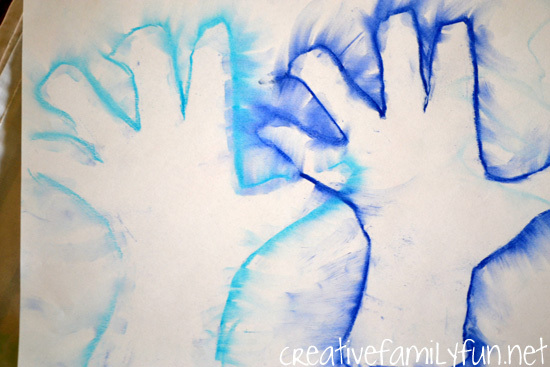 We repeated the process until we had filled our paper with handprints. 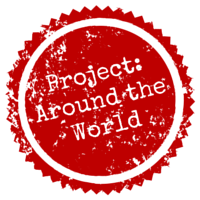 Thanks for coming along on Project: Around the World. Click here for all the projects or on the button below.